There’s always room for dessert, right? In case you missed it, or in case you’re not a resident of Texas, recently a Guinness World Record was set at the Spirit of Texas Festival. Now I don’t know what that is, but ice cream was involved so now I’m heavily interested. Thanks to a ton of volunteers, the longest ice cream sundae now belongs to Texas as they help achieve the record at Wolf Pen Creek. 500 gallons of H-E-B Texan Tackle Crackle ice-cream ice cream. 2,000 cans of whipped cream. 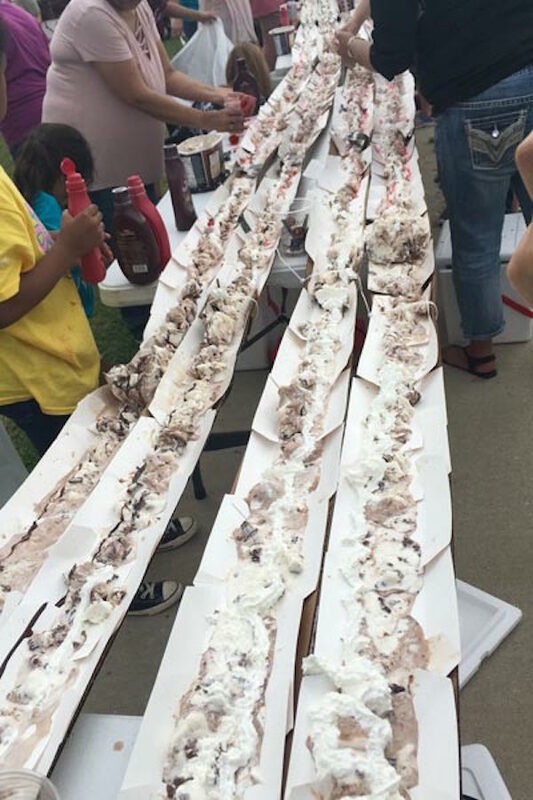 All in all this sundae, according to Guinness World Records, stretched out to be 4,549 ft long. In other words, as much ice cream as I’ve devoured in my lifetime. And if you’re wondering, this record ice cream was all eaten in under 30 minutes by about 4,000 festival attendees.